Job Overview: The mines where metal is retrieve for weapon production has been overrun by thugs. Go to the mining town, free the workers and kill all those that stand against Kou. Description: Petty Thugs move at 4 m/s and deal D-tier damage with their swords and daggers. Jab – Petty Thug thrusts their blade forward at 10 m/s to inflict D-tier damage. Vardreth spat upon the ground from atop his war-trained horse. What kind of trash job are we taking on now? The work here is really pitiful... Glancing behind him, Vardreth saw one of the men which his grandfather had sent to travel alongside him; Zeriken. Benai was nowhere to be seen. Vardreth had a feeling that neither could measure up to himself if they were to fight him individually, however both together could suppress him. A flicker of amusement was underlying the irritation he felt at the thought. Further behind them was a troop of soldiers that had arrived; a branch of men from the Fang Mercenaries. They were his to lead for the next few years. His success would be measured by their achievements. Vardreth turned to Zeriken. "Have Platoon One split; I want one squad to the east and another squad to the west. The forest can be tricky; have them create a loose net on the outskirts. Platoon Two should keep station along the road to ensure none of our targets escape through this route." Vardreth began giving orders for his troops in a calm and confident manner. Though he hadn't commanded on a battlefield to this day, he had lived on one since he was growing up and took classes for military officers. This would be his first command since beginning his family's line of work. "I want Platoon Three to enter the straight ahead and occupy the mining town. Platoon four will stick to the outskirts of the town while using the trees as cover; the light infantry will work on a one-on-one basis with the archers in order to cover them while suppressing fire is released. Only kill armed enemies; unarmed opponents are to be captured for interrogation. Keep in mind some citizens may attempt to flee under the stress of our attack and may be mistaken as unarmed enemies; capture regardless of the situation in order to ensure no bandits escape, but be gentle if possible." Zeriken nodded, an amused expression on his face as he relayed the orders to the individual platoons and squads. Two squads of cavalry, two squads of heavy infantry, two squads of light infantry and a squad of light infantry with a squad of archers. These were Vardreth's four platoons. There was, of course, more to his group than just that. 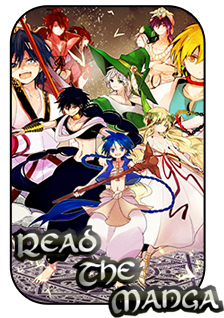 He also had a small squad of utility troops; four magic users that consisted of an older man with the life attribute, a woman with the water attribute, a fresh male recruit with the heat attribute and another man who had the strength attribute. For now, Vardreth did not choose to employ these individuals in any effort. Once Zeriken finished relaying the orders, he returned to Vardreth's side. "I'll be having the Utility Corps under your command for this excursion. Take the opportunity to familiarize yourself with them, as I intend for you to lead them in the future while we travel together." There was no such thing as a free lunch. Vardreth's grandfather had sent the two to travel alongside him, partly for insurance that he did not die an ignoble death in the war, but Vardreth felt that it was also to keep an eye on him. If Vardreth didn't use these two men he would be squandering his resources. Zeriken saluted, falling back to the Utility Corps. Vardreth focused ahead of him once more. The troops had not yet moved, as Vardreth had not given the final order to mobilize. They were all waiting. Moments later a rustling sound was made from a tree above. Eyes flicking upward, Vardreth noticed a familiar figure in dark clothing appear upon the ground. Benai. "Confirmed forty three bandits. Patrols of five are made, three groups, within a hundred meters of the town. They wield blades; no ranged opposition spotted." Benai's intelligence report provided a brief overview of the situation. Vardreth nodded; the official count from his employer advised there would be approximately fifty bandits in this group. Accounting from those did not make trips around outside, Vardreth imagined this intelligence report verified the initial information he had received. "Soldiers! Move out!" Taking direct lead of Platoon Three, Vardreth leisurely moved forward. They were still five hundred meters away from the mining town, and had some ground to cover. Vardreth was the only one in his group on a horse. Vardreth looked forward. The complacent look that normally lay upon his face was instead replaced with one of an utmost serious nature. When killing a rabbit, the tiger uses its full strength. I will not allow this first excursion of mine to end in failure under any circumstances. Five minutes had passed since the orders to move out were given. The archers were moving through the treetops while the soldiers followed from below. Between the two the soldiers that were keeping guard for the archers were the ones who had the most difficult job, as they had to split their attention between the archers and the ground in order to ensure they were following their partner. The forces lead by Vardreth moved directly forward after a few moments of waiting, primarily in order to ensure that the archers were all in place first. Soon enough Vardreth's smaller force of twenty five men were spotted by one of the patrols. Before the patrol could sound an alarm, however, ten arrows came flying through the sky and slew three of the men. The other two, terrified, yelled out at the top of their lungs. "ENEMIES! ENEMY ATTACK!" Ten of Vardreth's soldiers had rushed over with their drawn blades by this point, cutting down the final two. Vardreth nodded. "Five down from the right. I imagine the patrol from the frontal and left areas will be coming shortly. Disperse and hide. Five remain with me; recover the arrows." If they showed the strength of their numbers things would get a little bit more complicated when the alerted patrols approached. Vardreth wanted to cut and shave the strength of their opponents before their final assault, allowing them to take the enemy out with the fewest casualties. Just as Vardreth and the other four finished ruffling through the items of the fallen, the fifth member of the small group Vardreth had remain in sight spoke up. "Sir, their reinforcements are arriving! Ten men!" The sight of Vardreth and the others ruffling through the bodies of the dead comrades seemed to burn as a fuel of anger within the rest of the bandits. "Just six guys! Quick, get them!" This time the archers did not participate in laying down a volley of arrows. There were, after all, some soldiers hiding in nearby bushes. The risk of friendly fire was too high. Vardreth and the other five set up a out-facing circular formation which left their backs facing each other and, therefore, defended. Even so, their formation was small. It wasn't difficult for the bandits to surround the six. It was at this moment that Vardreth shouted. "Now! Do it!" Immediately afterwards nineteen soldiers came out of the underbrush, jumped down from trees, and walked out from thickets and into the open. The bandits were caught surprised, and Vardreth's group immediately charged forward at the same time that the nineteen soldiers collapsed upon the bandits. Vardreth's blade flashed, cutting a man down on his left immediately. A back swing of his blade cut down a man to his right. It was at this moment that the entire field became embroiled in combat. The morale of the bandits had plummeted, the fear of death overtaking them all in a short period of time. One of the patrol leaders yelled out a warning to those in the town. "THEY HAVE THIRTY MEN! IT WAS A TRAP!" Just as he spoke those words, Vardreth's blade flashed again; the man tried to bring his blade up in time to block it, however it was too late and the strength behind Vardreth's downward cut was too much. Smashing the bandit's guard away, Vardreth's blade cut halfway down the man's skull before being pulled out. Looking around, Vardreth saw the last moments of battle die down as the last bandit was killed. "Search the corpses for anything of value; money and intelligence, if there is any to be had on these lowly trashes." Vardreth brought the tip of his hilt to his ear before swinging the sword in a trio of arcs, removing a majority of the blood from the blade. He did not yet sheath the sword, as they were still in a skirmish zone. As five soldiers were sifting through the belongings of the fallen the rest of the soldiers kept up their guard. "Platoon Four, move to the edge of the forest line and keep an eye out on enemy movement. If any large forces move, begin skirmish guerilla tactics and fire your arrows while retreating." All around them the trees began shuffling as the men began to move out. Once they obtained momentum, a lot less noise and movement could be seen as they made their way to the treeline. It wasn't much longer after that when the soldiers searching the bodies returned with only small change; the money owned by these bandits. Vardreth shrugged, and pointed his blade forward. "Loose formation, easy march!" Within terrain like this they could not keep a tight formation. Instead they had to move forward at a slow pace while all of the soldiers kept up with each other. Even so, only a few moments passed by before they were upon the town. Some bandits on the outskirts of the town saw them and immediately reported the presence of Vardreth's group. It was thirty versus twenty five; bandits versus mercenaries. The odds were acceptable in the mercenary Captain's mind. When the Bandits saw that they had the advantage in number, they charged from the confines of the town's structures. Vardreth eyed the group like a hawk and stepped out of formation. As he closed his eyes his grandfather's words resonated within his mind. A Fang does not fear showing his power... We are not turtles who hide in their shell! We are dragons among geniuses. Only the mediocre would hide, within our bloodline! 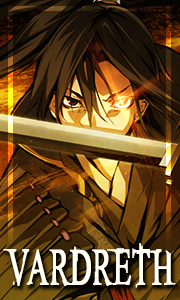 A look of resolve covered the swordsman's face as he held the blade in one hand. Magoi gathered within Vardreth. The bandits approached with jeering looks upon their faces. One man confronts thirty? He must think he has lived for too long! Those looks changed, however, as the blade made an elegant arc through the air and was pointed behind the mercenary leader. The distance between the forces and Vardreth had already shortened. Vardreth's eyes suddenly opened wide and breathed in. Magoi had gathered throughout the blade, and Vardreth's feet pressed down into the ground. A two inch indentation appeared in the ground. Everyone, in Vardreth's eyes, seemed to be moving incredibly slow as his legs continued to burst with power. His blade moved in a crescent arc; it was the technique he had developed, Crescent Moon! The muscles on Vardreth's right arm bulged. One, two, three, four, five, six, seven, eight... The blade, in a single pass, bisected eight men faster than they could react. The bodies split, their upper halves seemed to slowly fly into the air as their lower halves seemed to have lost the ability to remain standing and began to slowly sink to the ground. A gentle breath was released. The blade that was originally upon Vardreth's right side and pointing behind him was now on his left, once more pointing behind him. Again, a breath of air was taken in, and Vardreth's blade flipped from a downward facing position to an upwards facing position. The magoi that seemed to have been depleted was gathered once more. His foot depressed within the ground again, causing another two inch depression as he shot forward a second time. As his body moved, the bisected bodies seemed to have encountered some strange internal attack. Immediately blood gushed from the mouths, ears and eyes of the already dead bandits. Small bursts of blood and guts shot out from the bisected portions of the bodies, leaving behind a light mist of blood. Vardreth's second Crescent Moon was just as deadly as the first. Vardreth released a gentle breath. Two breathes of time had passed, and yet sixteen bandits had died. The sudden destruction caused all those present to pause in shock as their hearts pulsated. The Fang Mercenaries were the first to react. After all, while they were shocked they did not have to worry about Vardreth attacking them. Immediately they ran forward to take on the remaining fourteen men. The odds had been reversed, and Vardreth's forces counted almost two to one. Some of the bandits peeled away from combat and began running towards the tree line, however they were stopped short as they became pincushions for the archers. Nobody dared to approach Vardreth, who had already shown how inconceivably large the rift was between himself and them. It didn't take long before his soldiers finished mopping up the remaining bandits. There were some injuries among his men, but none had suffered fatal wounds. It was the difference in training, in the end, that had contributed with the lack of casualties. Vardreth's soldiers were used to teamwork and battlefields, while bandits were more often used to brute force and superior numbers. Balms and healing salves were distributed as the mercenary group searched the remaining places, using three citizens to confirm the status of other townsfolk as not being bandits. When the work was done, Vardreth called out to his men to move out and head back to their employer, the Kou government, to claim the reward for the completed job. Ability: Crescent Moon - sustained x1 - magoi cost 40. 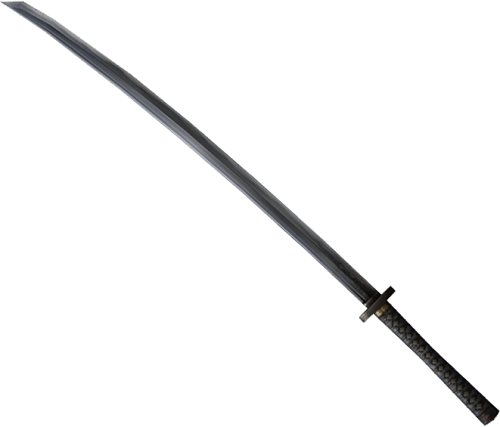 Appearance: This katana appears to be a straightforward weapon, though it has magic imbued within the hilt. The blade itself is fairly standard. The handle is 13 cm in length, with the blade being 57 cm in length, making the total size of weapon 70 cm. Gold Dragon Garden - Feeding magoi into the hilt while the sword's blade is touching the earth causes four vines to sprout from the ground. Each vine coils in the style of a Chinese dragon with claw-shaped leaves and a blooming bud that resembles the jaws of a dragon. Inside each bud is a golden peach. Eating the peach causes C-tier healing throughout the body. The plants may grow anywhere within 3m of the user and grow to be 1.5m tall. 10 Magoi to activate | 5 Magoi to sustain. Requirements/Drawbacks: The user must have the hilt in their hand in order to feed magoi into the weapon and activate the ability. The spell creates a 1 meter long, .2 meter diameter dragon from golden mist made of life magic. This 'dragon' moves and flies about at the will of and within 3 meters of the caster. The mist enters and dwells within the body of a being it came into contact with after activation, creating an imprint of that living creature's body's peak condition. It advances the healing process of the body, healing up to B-Ter damage that was dealt to the body. Requirements/Drawbacks: At least one instance of Desceld's function must already be in use. Scaling: The number of plants that may bite double with every 10 magoi that is invested. A portion of the blade must be touching the earth, and the user must channel their magoi through the hilt of Desceld. One of the Gold Dragon Garden's bloomed buds, shaped as the head of a Dragon, bites down with its flower, dealing A-Tier damage to whatever was caught within its mouth. Requirements/Drawbacks: The user must be wielding a sword and channel their Magoi. The user begins with the blade behind them, in a stance known as 'sha no kamae', while the hilt is held with one hand. The magoi is gathered and the user unleashes the attack from this point in an arc. Scaling: For every 10 magoi invested, the number of times this attack is performed may double. This attack begins from behind the user, and is performed in an arc. Upon landing against an opponent, the magoi enters within them and devastates their internal organs, dealing A-Tier damage.